Elizabeth Diamond is part of the Chien J. Wang Collection designed by international designer Chien J. Wang. 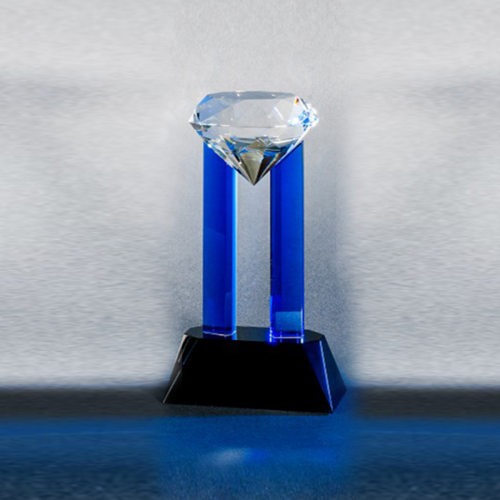 A large diamond sits on two crystal pillars with a black crystal base. 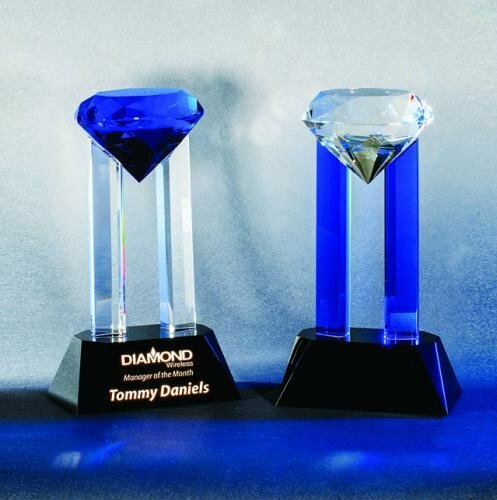 This item comes in two distinct colors, blue diamond or clear diamond. 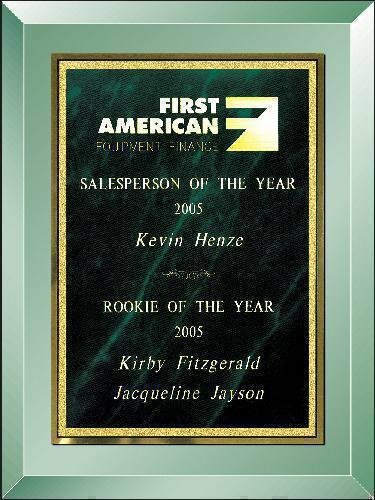 Emerald Mirror plaque with backing and hangers attached. This item is individually boxed. Available in six sizes. Light hues of blue, green and red fill this clear glass teardrop. 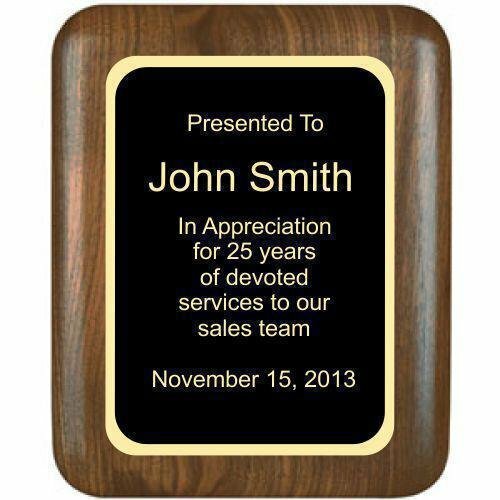 Your congratulatory message can be etched on the base front. 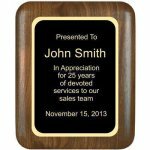 An all around award that can be used for any occasion. 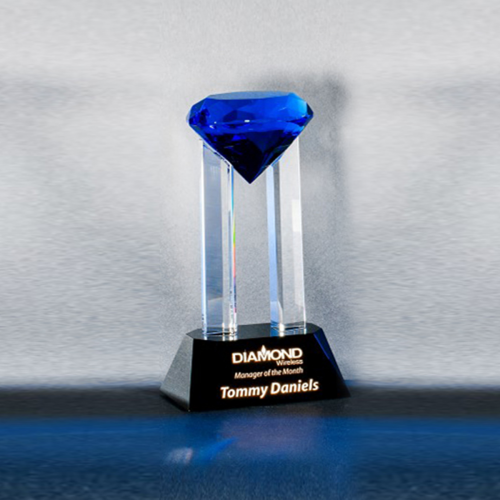 This award features a sharp tip at the top and beveled edges on both sides of the award. 7 1/2" x 5 1/2" x 1/2"
9" x 6 1/2" x 1/2"
10 1/2" x 7 3/4" x 1/2"